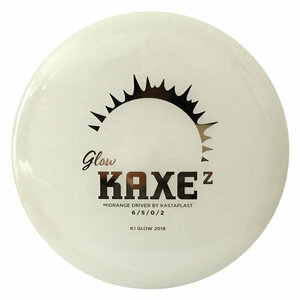 This disc is essentially a beadless Kaxe. Just as with the original Kaxe we have called it a midrange driver, but Kaxe Z is just as much a fairway driver. With this disc we’re introducing the Z as in Zero, symbolizing less stability than the original mold. However don’t expect Kaxe Z to be understable. It’s still dependable and Kaxey!